I facilitate PMO breakfast meeting of PMI Silicon Valley chapter where a small group of PMO leaders get together to share their insights and success stories, and get advice for potential challenges. Below is extracts of our last conversation on September 12, 2018. Please note that all relevant comments will be posted. We can only grow by each other’s help. I extend my invitation to share your expert knowledge within our community. I will then link your name (on comment) to you LinkedIn profile as appreciation – if you want so. One of our attendees has experience managing projects with distributed team members (in Grenoble, Singapore and California). Due to the time-zone difference, each team used to do their tasks and pass to the next team. Tasks then distributed to the last team to deliver their committed milestone. The team was working round-the-clock for about a month and the milestone accomplished milestone. Hands-off to other teams done using available technologies (email, teleconferences, shared folders, etc.) Collaboration was mainly engineer-to-engineer. Performance was based on work-packages. As per International projects, other important considerations are the settings where teams are performing, their laws and regulation, tools and techniques, information / communication channels, and information containment that will affect the success of Centers of Excellence (AKA PMO)! There are dependencies where PMOs (or a Center of Excellence) can have influential authority, such as requests delegations, approval (signature) procedure, reporting pyramid, etc. Having an in-country experts (as in-house or sub-contractors) is another way of settling dependencies. Local experts are particularly important in synchronizing actions among various in-bound entities that would help time, language, cultural disparities. Time and sensitive functional dependencies; especially when dealing with modular (hardware-software) product development, require higher degree of coordination to reduce task-delivery delays. Utilizing available coordination and team-based technologies helps resolving dependencies as well. Conflicting dependencies may result from hidden and / or incorrect assumptions (or agendas), both from the management as well as business needs (resource, objectives, etc.) These may be due to management style / variance, and organizational directions when the top-down resolution becomes the best remedy. Another conflict may arise due to technical or scientific differences that would be easier to be resolved by engineering team, especially if the team is collocated. Projects and programs status can be viewed using various tools, dashboards, and technologies like Jira, Confluence, Smartsheet, Trello, Sharepoint, Wiki, MS-Teams & Planners, etc. However, we shall know the capabilities and limitations of each tools used. At times, senior leaders may even create a summary if their dashboards for ease of communications. Frequency of delivery of reports on high level milestone, tasks (and their stages), dependencies, issues, and fixes can be achieved via several means. These are all based on the maturity of organization, tools used, communication channels, etc. Senior PMO leaders might have to anticipate status-reporting of various concurrent projects. The reports are usually in consolidated form for upper management use in timely manner; even if projects are being handled by other owners (Scrum, or any Agile variation). Please share your remarks, or post your questions. Engage with our PPM community. I would like to invite you to engage with us at our next meeting. Please check out PMI Silicon Valley chapter events for more information. I also invite you to contact and post your topic of interest at www.SVProjectManagement.com. I wonder what the challenges of PMO and (Agile) change management are! Some of our experienced PMO leaders think that one failure of (Agile) change management is to couple scrum master and project managers responsibilities into one role! Most of practitioners confess this as a major challenge of Agile transformation in organizations. A project manager is usually responsible for all aspects of the project; planning, scope, schedules, staffing, budget, etc. At the extreme end some project managers are even responsible for Profit and Loss (P&L)! Scrum master is a tactical (coaching) role to increase value creation of the team while training them to become a unit that creates value streams. Scrum master is a servant leader who leads by example. On the other hand, a product owner become the product’s visionary (for goal setting), with some responsibilities of a product manager. With almost the same catch-all, the responsibilities of a program manager (in some instances) are blurred! In most enterprises project managers climb the ladder of their career, being promoted within their department. They are then asked to handle other aspects of their function, and hence are called program managers! Agile on the other hand is the mindset, it is a way of doing things, it is not a process or set rules to do things. Agile is not bound to a given process or set of activities, rather it is a way of life! We learn if and when we do something; learn from our failure and use the lessons-learned on our next approach, and this has been how human grows old. The PMO on the other hand has to decide and propagate the direction of programs. Some (of our) practice indicates that in certain organizations senior (and executive) mangers have high level view of how events go through their organization, while each of sub-mangers know how to handle their responsibilities in their area. Then they (the sub-managers) too, do not know how (exactly) matters move through the company! Hence the PMO shall come up with the philosophy, tools and directions to direct PMs to execute their assignments using ways that they succeed. Dysfunctions apart, the role of a PM is to be “in charge” of the (success of) project; planning, staffing, budgeting, tasks, etc. The scope of “in charge” in many cases does not include P&L, or the business success (or leadership). PMO, even though a bit clouded, is the overall owner of successful processes, tools, metrics, guidance, and practices of projects in different area and expertise. These obligations enforces PMO members to utilize any framework that leads to success. Consequently PMO members in general define how PMO (at least in a given organization) is reputed. From enterprise level - with many concurrent projects of various technical and business nature, PMO members define and lead organizational value creation processes, thus we shall incorporate re-usability and scalability of “lean Agile mindset” and promote it as a cultural change towards triumph. Silicon Valley is the hub of innovative technologies and ideas to push boundaries. From novel technological advancement to collaborative production, San Francisco Bay Area incubates the forward-pushing human desires time-and-again! - Based on Enneagram institute, considering nine (9) basic personality type people do not change from one basic personality type to another, even though not every description of the basic type applies to a person all the time. However, people do not accept or reject a behavioral model in its totality. - Agile way of accomplishing tasks is both strategic and tactical. From the planning of a software development lifecycle (strategic) to the alignment of cross functional team interacting to accomplish a set of tasks (tactical), Agile thinking and doing elevates both policies as well as methods. Applying Agile principles in our fast growing organizations is a testament of using the Agile models in both strategic planning as well tactical operations. - Business Analysts analyze needs and define requirements (based on business needs). This set of activities help functional managers to align their (portfolio) needs. Project managers and scrum masters follow planned activities to motivate project team to execute and iteratively adapt to better creation of tools to overcome needs. 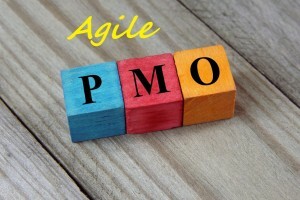 - The question is how to incorporate Agile into PMO? One may think that the PMO is whatever executives decide and dictate to execute! So their function is to respond to upper management needs. Your comments and thoughts can help to better support our PMO community. Last month we had another active dialogue concerning persistent (or otherwise urgent) issues with our projects and programs leads to best practices after a knowledge sharing conversation. Below is a highlight of items we discussed at our April PMO meeting of PMI-Silicon Valley chapter. Contributors are senior expert matters sharing their best practices regarding (technical/functional/business) PMO and Program Management issues and success stories. Understanding Agile processes as a guideline, and optimizing the golden triangle (of Scope, Schedule, and Cost) of project management to optimize outcome as value-add to our organization. How PMO can add value to smaller organization where C-Suite and managers are working shoulder to shoulder? Engage upper management to buy their influence, especially in a scrum (creating product backlog, backlog building/grooming, etc.) if possible. Create engagement and visibility. Once executives are present and engaged, the processes would increase conversion factors = trust. Concentrate on the results than methodology of doing how; action builds trust, that builds value-add. Remember that in Agile method everyone shall see the process and org. based collaboration and creates value. Involving C-level at project/program level makes that project/program a strategic value-add. Dynamic discussion regarding PMO and pressing issues leads to practical knowledge sharing. Below is a short snippet of items discussed at our past PMO meeting of PMI-Silicon Valley chapter where participants shared their views and experience regarding PMO and (technical/functional/business) Program Management issues and success stories. PMO contribution to executive committee consists of strategic setting of capital/budget of programs, programs benefit definition, and mobilization plan and report (to upper management) REF1. PMO also shall plan/conduct rescue plans (for various scenarios) REF2. PMO deals with business cases much more (and in higher level) than they oversee the requirements. PMOs provide check list of healthy metrics, hidden problem corners, while they do not have ownership, they keep track of the health of projects and programs with guideline to move from “range” to “green” health lines. Online search of these issues would lead to hundreds of useful resources. What brings people to PMO meetings? We talk about different projects/programs and their health. PMO acts as a diplomat in real life, especially with respect to customer-facing programs. PMOs are more fit to waterfall method than Agile, as for instance, there is no start-end in scrum setting! However, one may argue that PMO can help to streamline other Agile driven methods (like Kanban or Lean Manufacturing). I attended PMO breakfast meeting of PMI-Silicon Valley chapter where participants shared their views and experience regarding PMO and (technical/functional/business) Program Management issues and success stories. Below are bulleted items of a few points made by attendees. I appreciate suggestions and comments by viewers to further enrich PMO topics. How to create/promote PMO from the grass root? How to create it from foundation in any organization? - Recently many have perceived the significance of project management principles. Apparently most team players realize that some projects are falling through cracks as the number of projects become overwhelming while well-equipped PMs stretched in schedule, cost, or scope of their endeavors! How to change project management culture in a matrix organization? - The iron triangle (cost/time/scope) works fine, yet what about resource availability? Doing projects without qualified resources leads to disasters! The (main) success of the “iron triangle“ is to “focus” on for instance, one leg and accept proceeding of other legs! As an example, on January breakfast meeting of PMI-Silicon Valley chapter in Mountain View one member commented on the lack of qualified developers, causing lag of time/schedule/scope! - Another option is to create a manpower schedule and get management approval. - Support of leadership in necessary to a successful PMO & PMs in general. - For every successful project, there are 3-4 failures! How to change this trend is another task of PMO. - Another factor is being consistent in processes and follow-throughs. In small-to-Mid size organizations need-to-have PMO starts somewhat late, or only when the needs grow to necessity! - This may not be true when comparing to military units as their projects are usually well defined. - How about promoting PMO as cultural change-agent on the organization (to properly manage projects)? As in some establishments, mid-level managers resist implementation of proper Project Management processes (waterfall or agile) as deterrent to their established positions! It’s suggested trying the PMO handbook (by PMI) as guideline, or at least as a reference point helps in many occasions. - The standards then can be expanded based on organizational needs and culture. - Following the standards (and building on top of it) is helpful base point regardless of PMO, Agile (Scrum, Kanban, etc.) or hybrid PM methodologies. - Creating a (color-coded) chart (of KPIs and metrics) as percentage of progress sharing with the team would help to streamline efforts. This (heat map) can also help in determining budget or resource allocation/shortage to communicate with upper management. This shows data and allows smart decision making and proper change (management). Your comments and thoughts can help us all to better support our PMs. PMI-way of maneuvering challenges of complex projects! We are getting close to 2016 Symposium of PMI in Silicon Valley. A closer look at the speakers and topics (available at PMISV website) portrays real benefits of attending the Symposium. Online search of professional gatherings indicates that PMI chapters hold a high number of symposiums, seminars and conferences with high number of attendees. That’s no surprise as you could see the evidence from the number and quality of speakers at 2016 Symposium of PMISV. 24 keynotes and speakers sharing their experience to overcome challenges and risks in projects; the collective knowledge that cannot be easily grouped together and would require a few graduate-level course to address the issues they resolved. From risk leadership to addressing possible threats in the design phase, from KISS to dealing with uncertainty while keeping all manners cool, we will hear about selection of challenges with variable ambiguities posing daunting risks and causing projects failure! As the opening keynote, Nick will take an ironic look at risks and its various forms that we’ll face everywhere on our modern-days projects. Other speakers will share their first-hand encounters of challenges in their practices including defies of value-driven organizations, acting fast regarding risk and strategic risk management, dealing with changes and challenges of lean methods, risks of organizational agility, surprises ahead and managing uncertainties. First day’s folding keynote, Richard will share his unique skills of turning risks to values of a mega-project of California Bay Bridge project. Second day starts with Gavin’s KISS method of risk management, following with other speakers sharing their experience regarding QA/QC and critical risk management, schedule and process challenges, dealing with complex risks and the power of communications. Symposium closing keynote will explores the catalytic mechanism when delivering results in projects. Looking at the quality of shared knowledge I wonder if there is any educational institution providing this wealth of information in such a short time! We have read and heard about risk management and how to identify, analyze, register, and apply appropriate control to “risks”. Yet, knowing first-hand application of risk control in complex projects are not easily found in publications. I personally have the pleasure of idea sharing with a few of the speakers via for instance, assisting Tom Kendrick with a variety of PMI-SV activities and communicating with Joel Bancroft-Connors regarding agile/scrum related topics in the past meetings and professional gatherings. I am looking forward to seeing many of my colleagues at 2016 Symposium of PMI-Silicon Valley.